On Saturday 29th September, The Taboo Club headline the next Birmingham Review live music showcase – at The Victoria on John Bright Street. Joining The Taboo Club will be Liquid Cheeks, playing their first live set as the newly formed electro/garage two piece – showcasing their current singles ‘He’s a Flower’ and ‘Serendipity’, alongside never before heard new music. 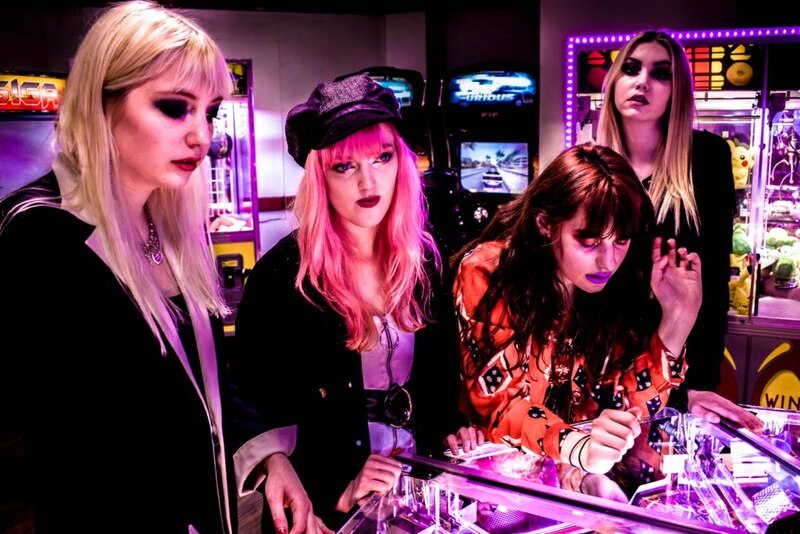 Also appearing will be Lilac Noise, Stoke’s electro melodic four piece who have been building a maelstrom of momentum since May this year – coming to Birmingham for their first show in the city, and riding the trail of their soon to be released debut single ‘Paradox’. Doors open upstairs at The Victoria from 7pm, with tickets price at £7 (adv) and £10 (otd) – as presented by Birmingham Review. To stay up to day with announcements on our next live music showcase, keep reading Birmingham Review or join the Facebook Event Page by clicking here. The Taboo Club are a newly formed ensemble of longstanding local musicians, delivering a ‘heartbreakingly cathartic’ amalgamation of genres and influences – all tinged with the sultry, low lit vibes of a ‘bourbon lit Harlem dive bar’. Led by rising waves of rhythm guitar, over an identifiable bass backbone, their sounds also embraces strong elements of saxophone and keys, with Rob Lilley’s brooding vocals firmly at the helm. 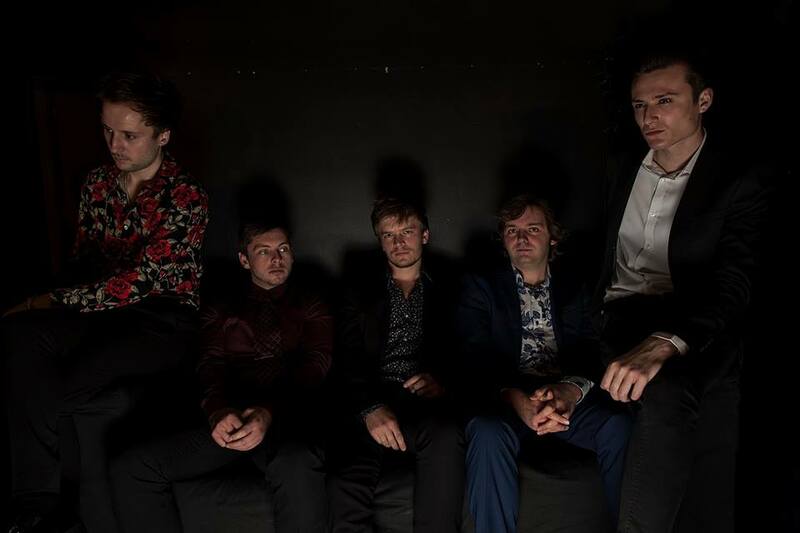 The Taboo Club released their debut single ‘Strangers’ on 20th July – an impressive ‘layer cake of crescendos’ produced by Ryan Pinson, and available to stream for free through the band’s Spotify account. You can also read our Birmingham Review of ‘Strangers’ here. But save some pocket money as more releases are set to come from the ensemble in Autumn, with the Birmingham Review live music showcase being the first chance to hear The Taboo Club’s newest material. 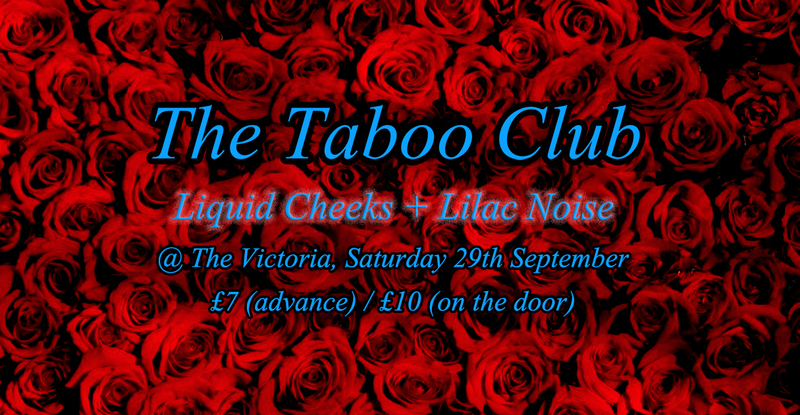 Performing as the evening’s local support, Liquid Cheeks will be joining The Taboo Club at The Victoria on Saturday 29th September. 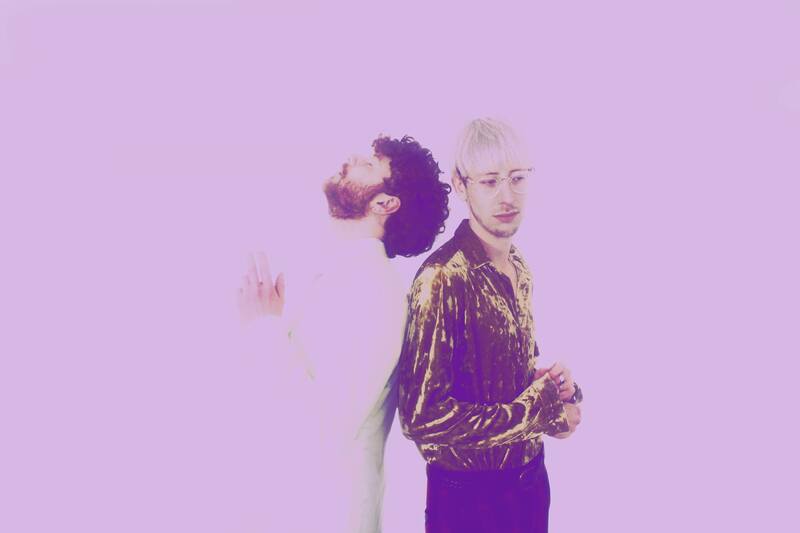 The new project from Ben Ollis Gibbs and Greg Clarke – two core members of the now disbanded Byron Hare – Liquid Cheeks are a glorious mix of electro, indie, and garage rock, delivering absurdly addictive melodies and a confident swagger. With series of introductory singles in production or the pipeline, Liquid Cheeks have already got two new releases ‘on shelf’ – launching with ‘He’s a Flower’ in July. To read our Birmingham Review of their latest single, ‘Serendipity’, click here. Liquid Cheeks will be showcasing new material at The Victoria on Saturday 29th September, in the debut live set from this impressive new two piece. Launched in Stoke earlier this year, Lilac Noise are an electro melodic four piece who have picked up the mantle of bands such as London Grammar – delivering a guitar and keys led sound with husky vocals and classically trained melodies at its heart. Already creating an avalanche of excitement around The Midlands, Lilac Noise will join the live music showcase bill to play their debut Birmingham show at The Victoria on Saturday 29th September. Watch out for Lilac Noise’s debut single too, ‘Pardaox’, which is set for release in the next few weeks.